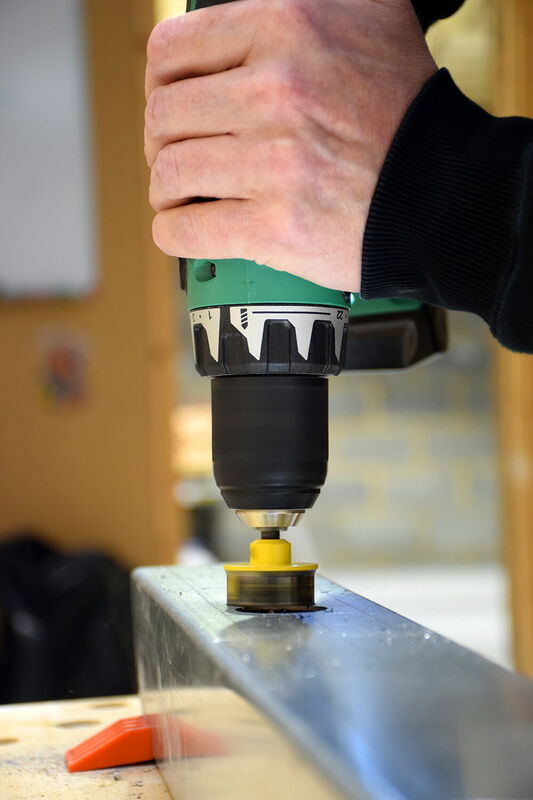 Driver drill is suitable for wood and steel, while the combi drill covers wood, steel and masonry. Max torque of 53Nm hard for driver drill & max torque of 55Nm hard for combi drill. Soft grip handle, comfortable to use and lightweight to carry around. x2 1.5ah batteries, with a 40 minute charge time. 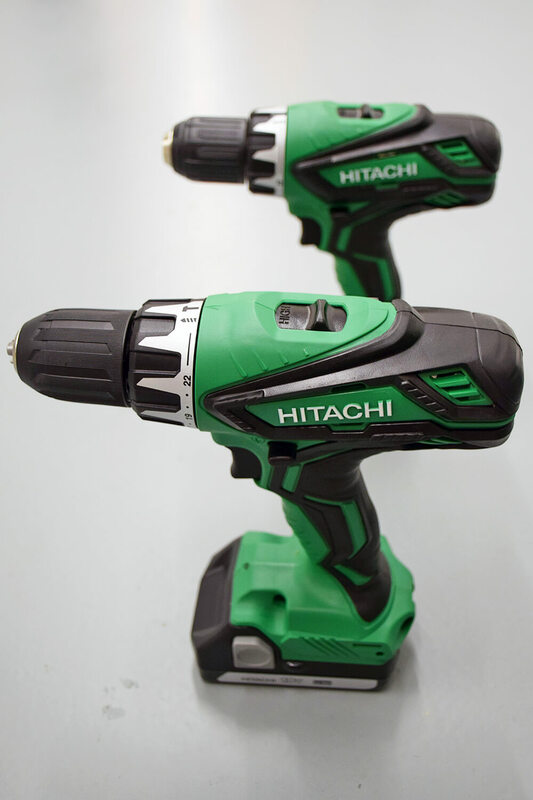 Hitachi have been developing power tools since 1948, with numerous manufacturing plants located around the world. They have received awards for their product design and boast a variety of power tools that satisfy customers worldwide. The Japanese company strive for innovation and make sure their products have only the most cutting edge designs, and it shows with their range of drills. 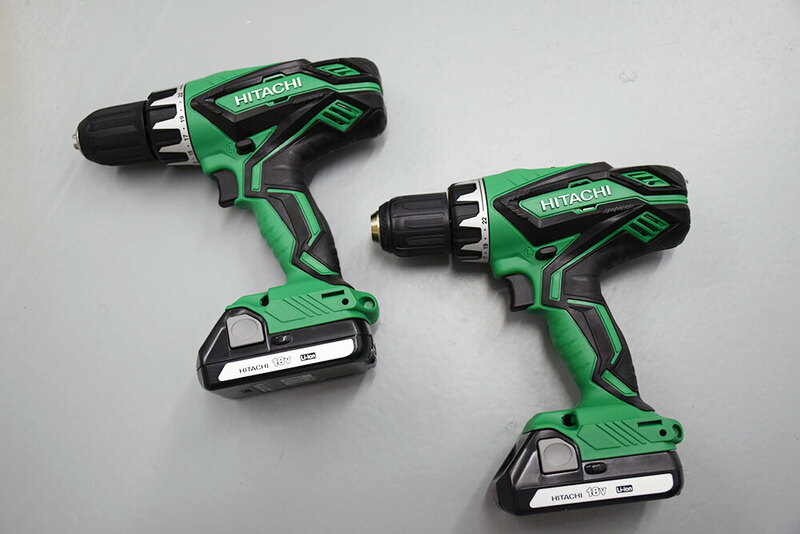 The 18v cordless drill set boasts many benefits, including the bargain price for the two drills, their functional capabilities and the quality of drills. 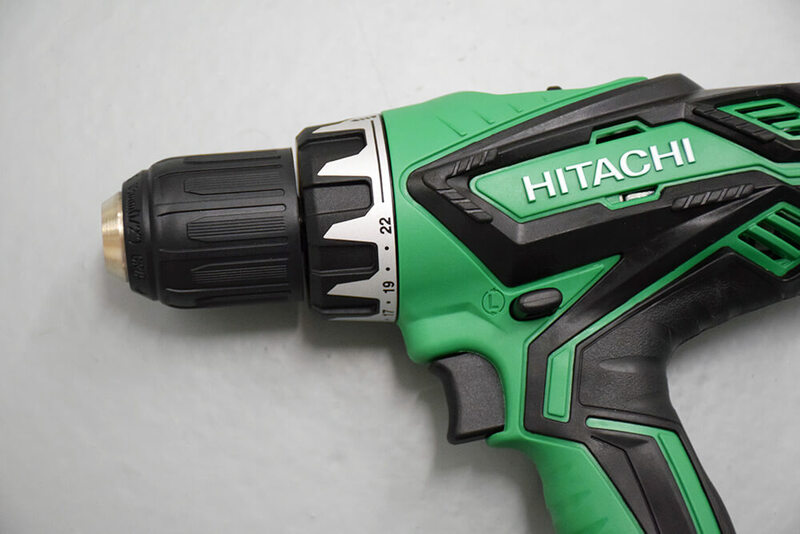 Hitachi’s combi and driver drills are a great lightweight alternative to other considerably heavier drill brands on the market today. 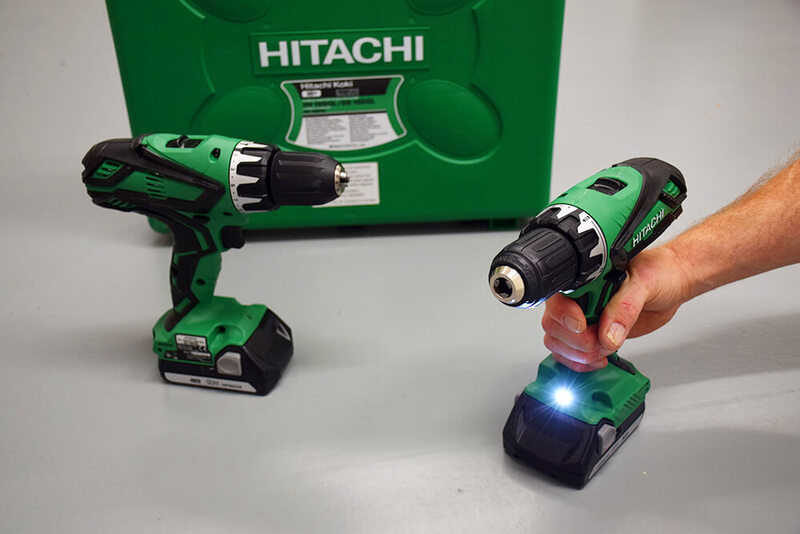 We have been extensively using both of these Hitachi drills in our centre for 12-18 months and they have lasted well through constant use and found them to deliver great quality results and efficiently drives screws and bores holes. Together, they cover many everyday electrician tasks, making them a crucial tool to have on the job. 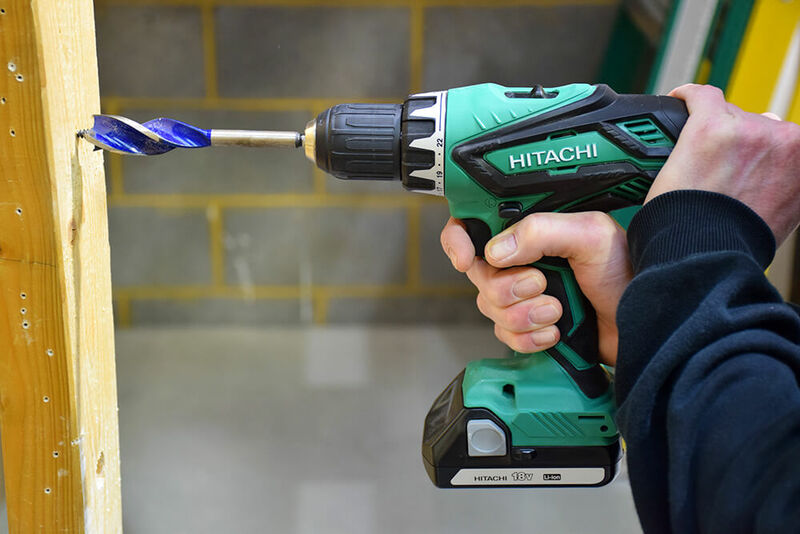 The driver drill is “specifically great for cutting holes in joists and trunking”, our electrical trainer explains, demonstrating the clean finish during our Experience Week. 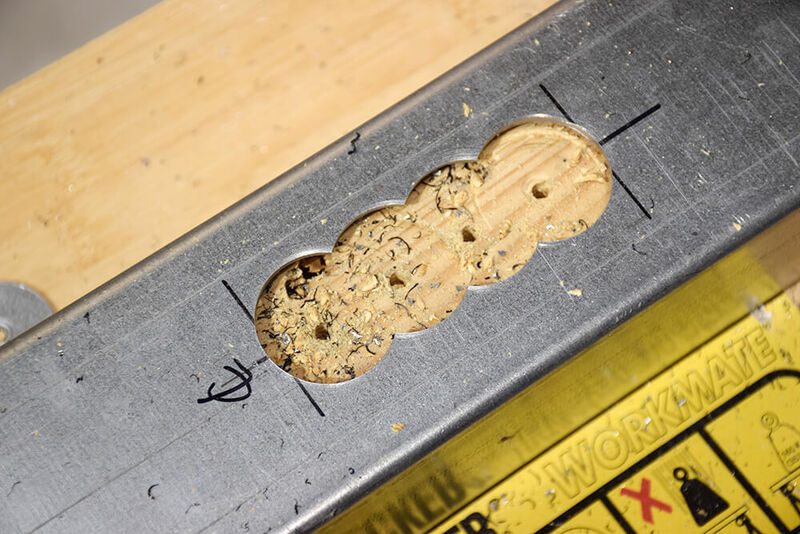 The battery life was our only issue with the drill set, as its 1.5ah battery will survive a few hours of use, but will eventually need changing or charging. For example, we use our drills for an average of 8 hours a day and have to change the battery twice. 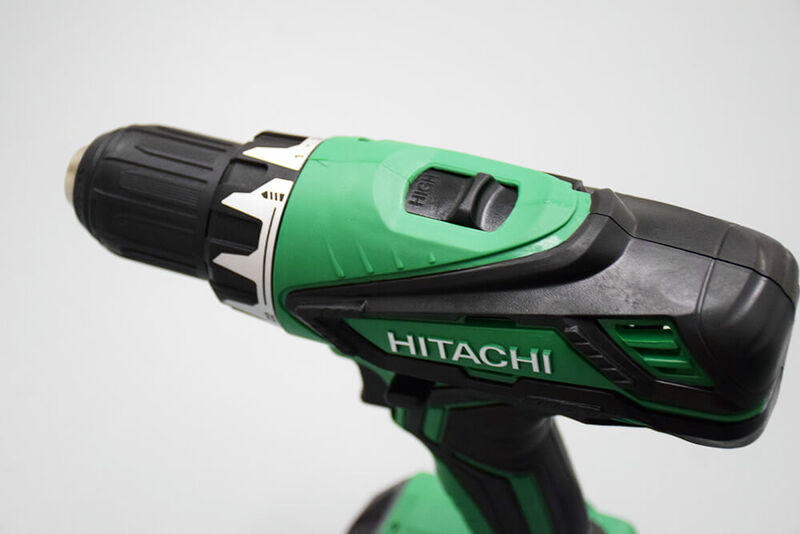 If you do a lot of installation work, our recommendation would be to purchase an Hitachi 3ah battery, as that will last significantly longer than a 1.5ah. For a DIYer, the 1.5ah battery would be fine for regular jobs around the home. 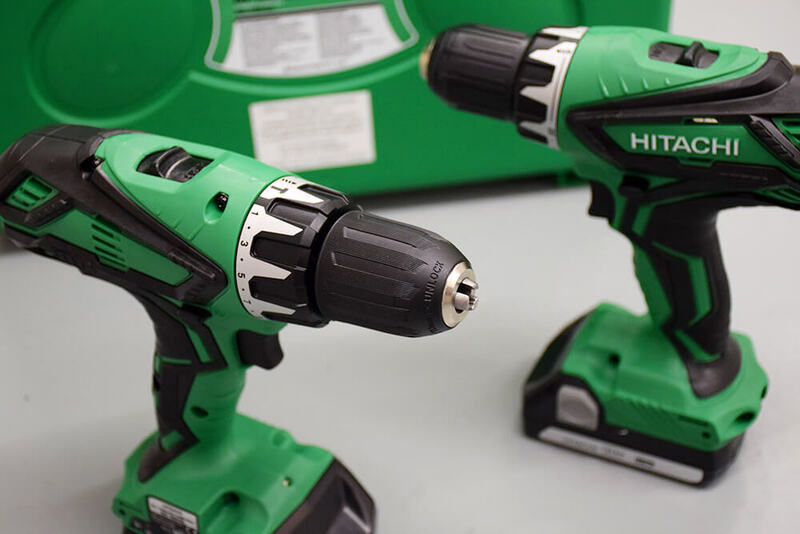 We could not fault the performance of the drills and the finish; it is an all round great, solid drill set that is sure to get the job done. Great drill driver and general drill for screwing, etc. Lightweight at 1.7kg compared to other brands and easier to carry around on jobs. 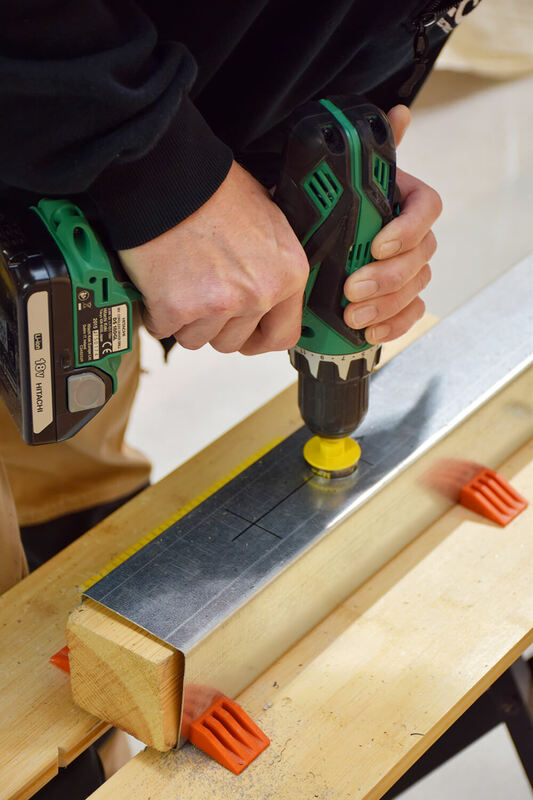 Great quality drill – Durable, strong and built to last. Battery life of a 1.5ah – we advise trading up for a larger battery. 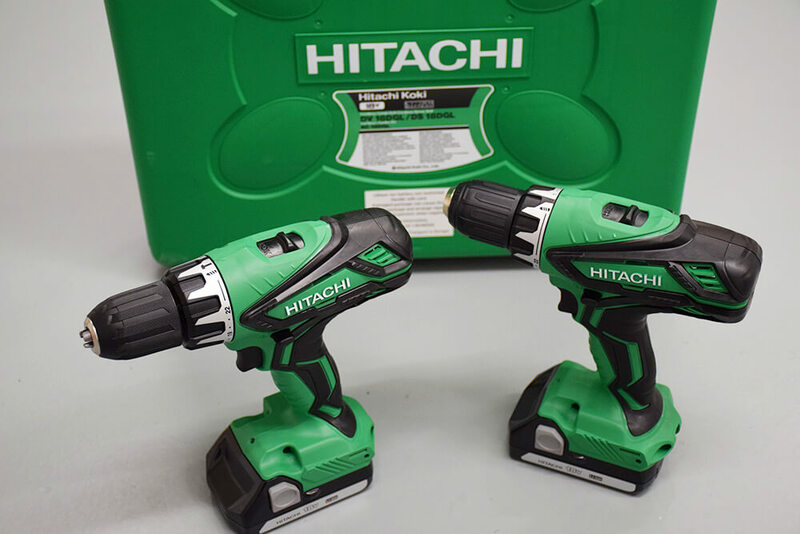 You can purchase the Hitachi combi and driver drill set for £149.99 from Screwfix. Featured in this review was also the CK Tools Sheet Steel Holesaw Set – have you read our review yet?